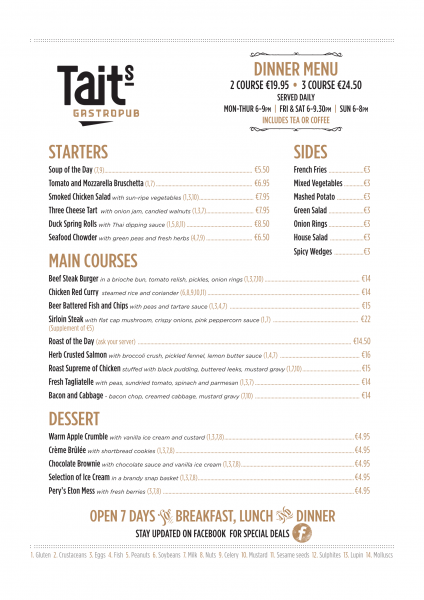 Tait's Bar and Grill has recently changed it's identity on food offerings. 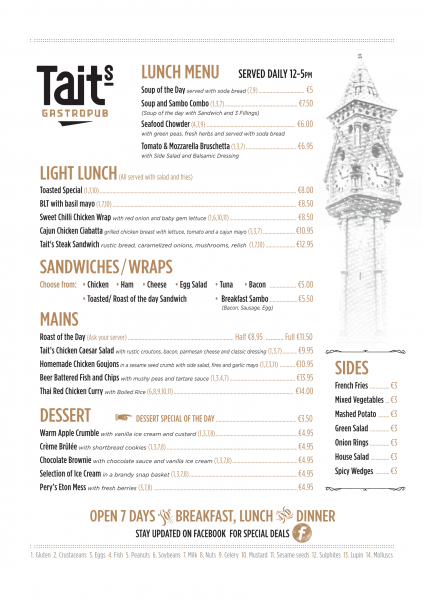 We have a wide range of exceptional quality dishes to suit all tastes. From Irish favourites to tastes from the Mediterranean and beyond. Experience our friendly Irish welcome in a relaxed inviting atmosphere. Value for money and quality table service are values we hold close to our heart. So why not call in for some lunch or an evening meal. Tait's Bar and Grill is a lively spot offering live music every Saturday night. We also cater for all special occasions from milestone birthdays, christenings and anniversairies.